The police investigation into the Jimmy Savile abuse scandal has cost around £2 million so far, the Metropolitan Police Commissioner said today. Bernard Hogan-Howe gave a committee of MPs an estimated cost for Operation Yewtree, which involves a team of 30 officers. Scotland Yard is leading a national probe into alleged abuse by disgraced TV presenter Savile, as well as claims made against other figures in the entertainment industry. Earlier this month the force said it was dealing with around 450 potential victims, the vast majority of whom claimed they had fallen prey to Savile. Officers are looking at three strands within their inquiry: claims against Savile, those against Savile and others, and those against others. Most of the "others" allegations have been made against people associated with the entertainment industry. So far Gary Glitter, comedian Freddie Starr, DJ Dave Lee Travis and a man in his 70s, reported to be former television producer Wilfred De'Ath, have been arrested and bailed as part of the probe. Mr Hogan-Howe addressed the Commons Home Affairs Committee as his force is facing more than #500 million in cuts. The Met is selling New Scotland Yard as part of the plans, and will see the loss of 1,200 officers ranked sergeant or above, as well as around 3,500 members of civilian of staff. 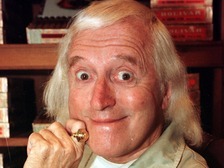 Police have confirmed 500 people have come forward as victims of Jimmy Savile. Jimmy Savile thought he was "untouchable" and would regularly walk in on Broadmoor patients while they were in the bath, it's been claimed.